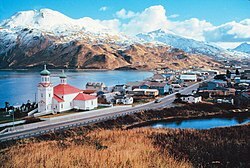 Unalaska and Amaknak Islands contained 24 settlements with more than 1,000 Aleut inhabitants in 1759, when the first Russian group under Stepan Glotov came and started trading for three years on Umnak and Unalaska. 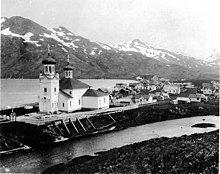 Between 1763 and 1766, a conflict between the Russian fur traders and the Unalaska Natives occurred; the Aleuts destroyed four Russian ships and killed 175 hunters/traders. 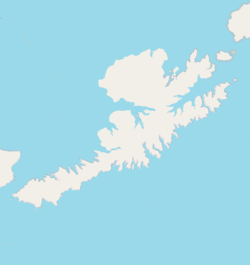 Solov'ev then returned to Unalaska and directed the massacre of many Natives. 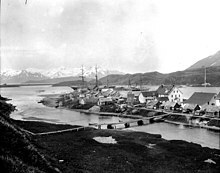 [non sequitur] In the 1760s, Unalaska was temporarily used as a Russian fur trading post. 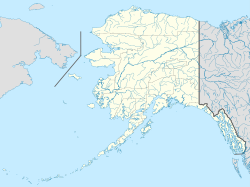 The post was permanently established in 1774, and was eventually incorporated into the Russian-American Company. It was there that Captain James Cook encountered the navigator Gerasim Izmailov in 1778.